Appeal to an expert who really listens to your questions. The European Parliament and the Council of the European Union have obliged the French banks to consult a valuation report (in case of a mortgage request) , that has been prepared by a qualified Expert Immobilier, and has been set up according to the European standard. Also in other situations , such an extensive valuation report ( a "Rapport d'expertise") will be requested. Only a "Rapport d'expertise" complies. This means that the simple form of value indication such as the "Estimation gratuite" or an " Avis de valeur" as provided by real estate agents do not have any value in situations where an expert valuation report is requested. We provide a valuation report in France in accordance with the latest guidelines. 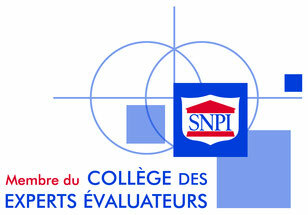 We are affiliated with the SNPI and conformed to the "Charte de l'expertise en évaluation Immobiliere". This stands for the highest quality level. 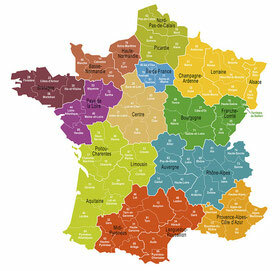 If you are in need of a valuation, we can help you everywhere in France for both residential and business activities. In addition we are happy to assist you in the event of a valuation or building survey. Ask us a question or submit your situation to us, you will receive response quickly!